I’m the first to admit the many of the blogs published by cast and crew are faintly disguised marketing plugs. This one is not because Joan is wrapped. Within 60 minutes of the last standing ovation Circa One was back to an empty black box, the lamps hung on racks in the lighting rig, the drapes drawn or folded away, the set dismantled and stowed and while we were still in the new fabulous Circa bar space celebrating, the crew from Rushes were already storming the doors. During Production Week the third anniversary of my own mother’s death came about. Her dying in the Mary Potter Hospice in Newtown after 87 years of living in Island Bay was so similar to the passing of Joan in Tom Scott’s play. Every performance I watched meant reliving that night in January three years ago, not in a painful way but with the peace and calm of the death that Joan narrated. After the opening night premiere many many people talk in the bar afterwards of their own experiences of their own mothers and fathers dying. Tom Scott had written of the emotions and experiences we all shared. Joan did huge business. 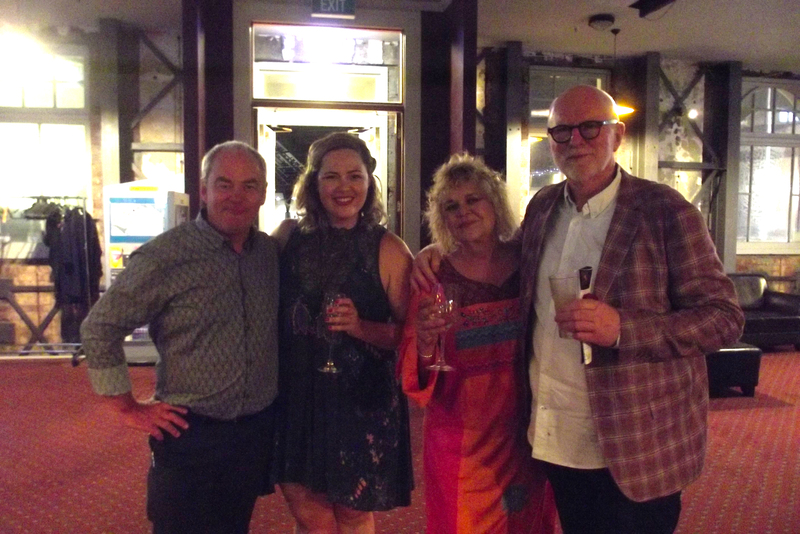 We were at the centre of a perfect Anticyclone –not only did we have a great script and two fabulous actors enhanced by a talented and creative design team; that script was by Tom Scott and the actors were Ginette McDonald and her daughter Kate McGill. From the marketing point of view these are Wellington’s favourites. The media gave our publicist, Mel Booth, a greater regard than many productions get. This was the holiday season without news stories or political leadership races to push the Arts off the pages. Plus Wellington had a beautiful Summer and there was no excuse for the audience not to leave their homes. And so we were lucky. Circa productions do not have the budgets to compete with the advertising surrounding our competition, the NZIF or touring productions; but we do have a loyal and supportive audience.. This blog is about thanking you for your support and feedback. In the end Joan was a success because word-of-mouth quickly shared the joy, the tears and the laughter experienced. This production was a privilege and pleasure. Each show has been carefully chosen and programmed with the audience in mind. Please trust the playbill even if you don’t know the playwright or the actors or the design team. I encourage you to consider all Circa Shows because each production has the same creative energy and passion shown by Joan and without you we can not build a sustainable Theatre industry.